Properties where the extreme external noise levels makes life unbearable - even where double glazing is already fitted. For treating windows that need extreme heat loss reduction and / or draught reduction. 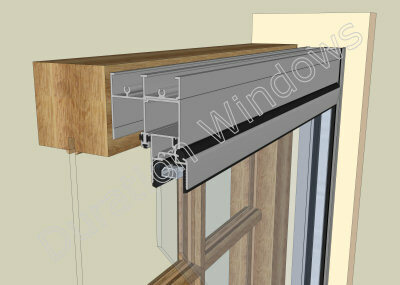 A property where you are unable to modify the existing external windows. Where the aesthetics and slimness of the secondary glazing is less of a concern than the level of noise and heat insulation. Perhaps not as suitable for use in Listed Buildings as our other secondary glazing systems - the thicker frames are not quite as discreet and unobtrusive.